I love League of Legends and nothing makes me angrier than when I get killed because of a defect in my equipment. Whether it’s my wireless mouse that lets loose in the middle of a team fight or my keyboard that reacts a century later when I try to put my utli to win this double kill, it’s in every two cases extremely frustrating. 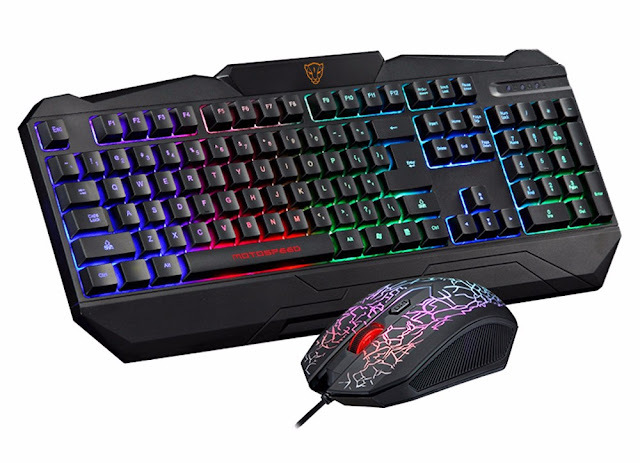 That’s why I compiled this list of the best gaming mouse and keyboard for tryhard on League of Legends. This list stems from my own experience but also that of veteran players. But before addressing this, let’s talk about some things you should consider before making a purchase decision. The debate that divides. Personally, I would recommend taking wirings either for the keyboard or the mouse. Why? would you tell me? Just because they do not need a battery and therefore no risk of them letting you go in the middle of the game. It’s something that happened to me more than once, worst of all, in ranked games. The disadvantage of a wired mouse is that there will be hanging wires, which does not make it very convenient for travel. It also takes up more space. I’m not trying to dissuade you from getting wireless mice and keyboards, but you have to consider the situations I mentioned earlier. If you own a PC, the mechanical keyboard should be your favorite choice for games in general, not just League of Legends. Why? Each key has its own switch and is not affected by other buttons. This means that response times will be faster, which is always an advantage, no matter how small. Those who play the mechanical champions where you have to chase the combos very quickly like Lee Sin or Zed will appreciate. After trying several mice to play League, this one remains one of my favorites. Why? Because she does the job, simply. A really nice design, a grip at the top and value for money just excellent make the KLIM AIM one of the best mouse of the moment. – Beautiful appearance and feel – the speaker is very strong and sturdy. The design is nice and the light completes the mouse very well. – She has a decent weight and is easy to control, very good for kites and side steps. – No problem level reactivity or sensor. – The control software is very easy to use thanks to its simple interface. – Very good value for money. – Lights can disturb some people, especially during night sessions. It is still possible to control the brightness. The best mouse to simply carry. This mouse is perfectly optimized for gaming comfort. First of all, the side handles are made of rubber and will, therefore, reduce the sweat stains you will have after using it for a long game session. This mouse is also very responsive. She also makes a great combo with a Razer keyboard, which I will talk about later. In addition, this mouse also has some customization options in addition to the classic mouse including a left-handed edition. If you’re looking for a shiny mouse that’s comfortable for 6-hour sessions, the Razer DeathAdder is what you need. Not insignificant, it is played by the players of SK Telecom T1. – Five independently programmable Hype answer buttons. – Played by the big Faker. End of the game. – Relatively fragile. You have to take care of it. – Not for little hands. If you are looking for a cool and good looking woman, then the Redragon M601 should please you. Why? Because in terms of aesthetics, it is different from the black mice that we often see. It comes with a user manual as well as TEFLON feet and a contoured body for ultimate gaming control. If your hands are huge, prefer the M602 version, which is slightly larger than the M601. -Optical sensor with high accuracy. – The comfort that rivals even most high-end gamer mice. – 6 buttons, 2 of which are fully customizable via the Redragon software. – Ability to adjust both the weight of the mouse and its center of mass. – If you have a small hand, this mouse is great … but not the other way around. As I said above, the mechanical keyboard advantage that each key has its own switch and is not related to other keys. If an item is defective in an ordinary keyboard is broken, it will affect the other buttons. Not in a mechanical keyboard. For having used a lot of mechanical keyboards to play League, the Razer BlackWidow is my favorite. It’s very responsive, when I press Q to cast a spell, its response time is substantially better than the others. Not to mention the fully customizable lighting that brings a touch of style to the whole. Among the pro players who use this keyboard are the players of CLG (HuHi, Aphromoo, Stixxay, Xmithie, Darshan), those of the team Liquid (IWD, Fenix, Smoothie) or those of the Unicorns of Love (Steelback, Fox, Hilyssang etc). For those who are allergic to Bling bling keyboards and prefer a simple keyboard that does the job, then the Logitech G710 + version will meet your needs. The biggest advantage of this keyboard is the programmable G-keys, which you can use to assign specific functions such as placing spells with these keys. For example, if you hate to use the number 4 key to place your wards, you can replace it with one of these keys. This little trick will allow you, for example, to gain 0.5 seconds in reaction time (do not laugh at a certain level, every millisecond account) and be able to do other things during good big team fights. EVEN BETTER! It is possible to link these softkeys to run combos !! Running a Nasus E + Q combo while posing a pink (yes I know it no longer exists, rips pink ward ) against Akali or Rengar becomes a lot from then on a child’s play. IF with a keyboard, you are still stuck bronze well I do not know what to do for you. In short, a good keyboard to carry on LoL as we like them. Jensen, Meteos or Sneaky from the North American team Clown9 Cloud9 use the Logitech 910, as well as the Immortals (Pobelter, Wildturtle, Adrian etc) and the TSM (Bjergsen, Hauntzer, DOUBLELIFT etc). – The 6 programmable keys! – The relatively fragile keys. I can already see you rolling at the sight of the price of this keyboard. This is probably the most expensive keyboard I will recommend because it comes with another important function that most keyboards will not give you: the wrist rest. Tryharders know it, the long sessions of play on League of Legends put a strain on the wrists and the hands. Like the previous one, the GAMDIAS GKB2010 also comes with macro keys, so you are free to link it to the skill you like. It is top on virtually every aspect: appearance, feel and comfort. The keys have a good feeling and the strikes are silent, so ideal to play very late at night without waking your roommate. Add to that a backlight and you have a mechanical keyboard at the limit of perfection. Just that. – The wrist rest that gives pleasure. – The design at the hair. – The price (ouch it stings). Here, I hope this guide has been helpful! Have fun and see you soon on the fields of justice!